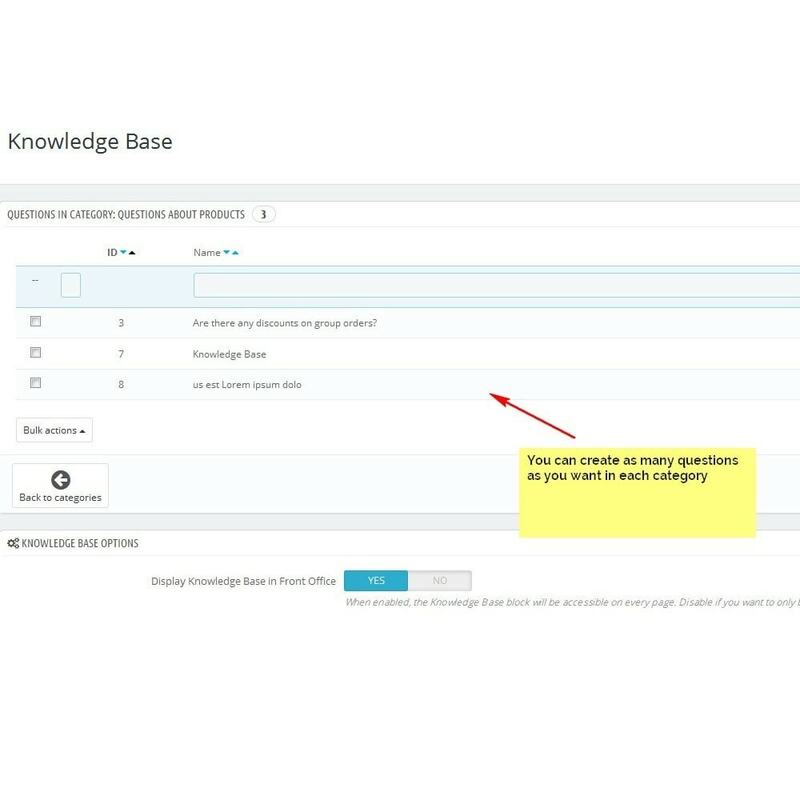 The module Knowledge Base allows an easy integration of a sliding FAQ block on every page of your store with another feature to create your own lists of questions for different customer groups. 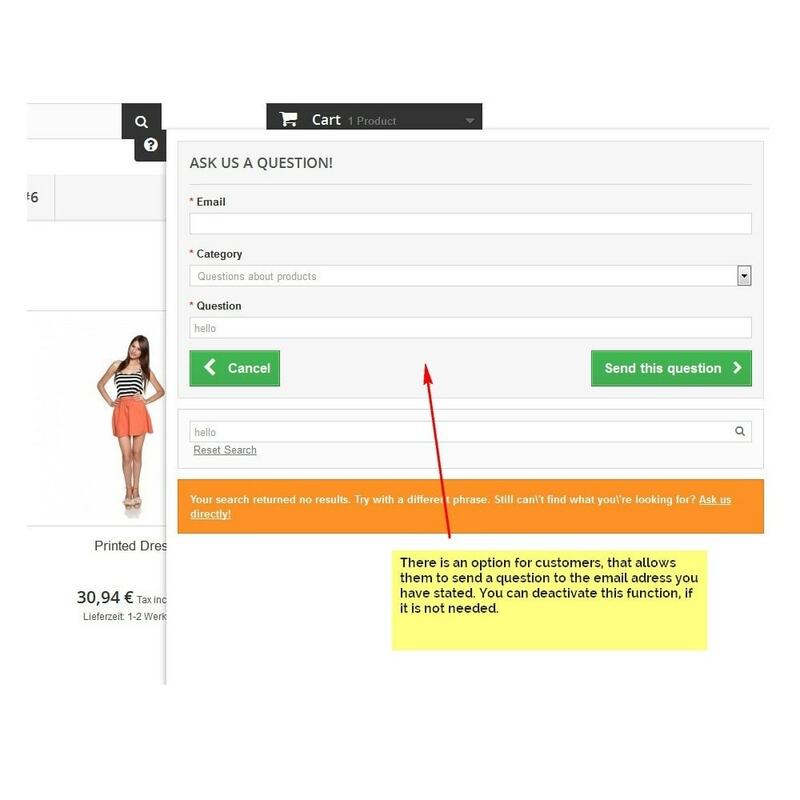 Customers get a well-structured list of questions, including the instant search function on the top of the lightbox. 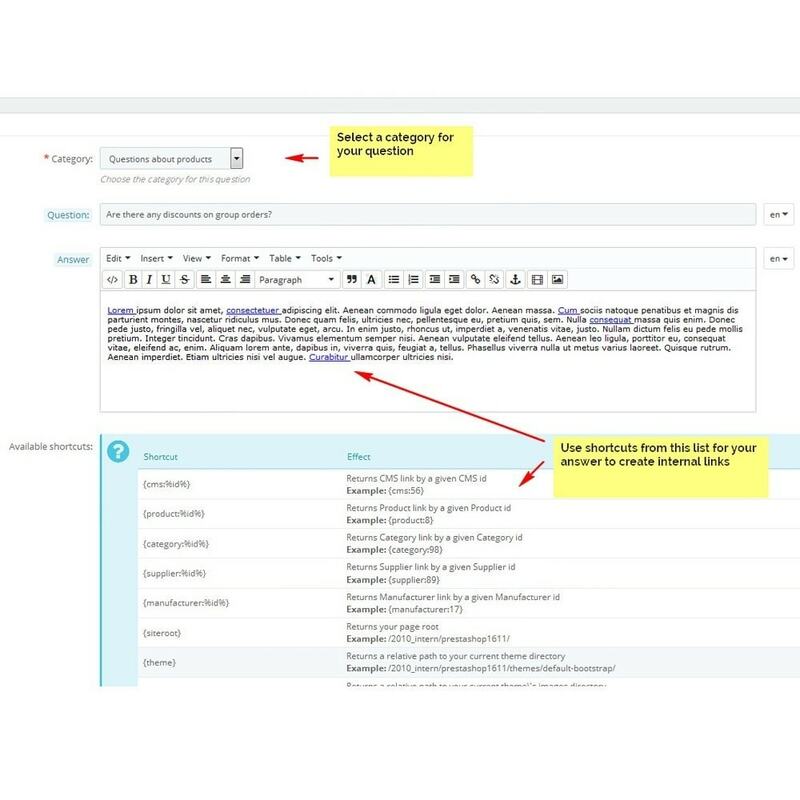 They also have the ability to send issue proposals to the store owner or any other email receipient through the integrated block that slideds down from the top of the page. 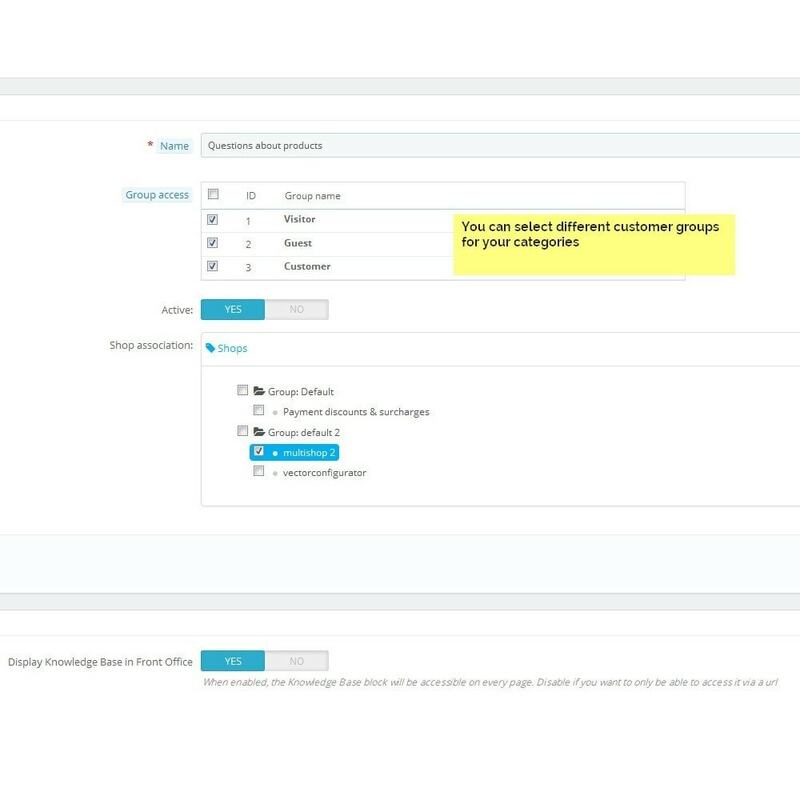 The structure in the backend is very clearly structured for the merchant and provides the possibility to work with shortcuts, aply categories to any customer groups and many more. 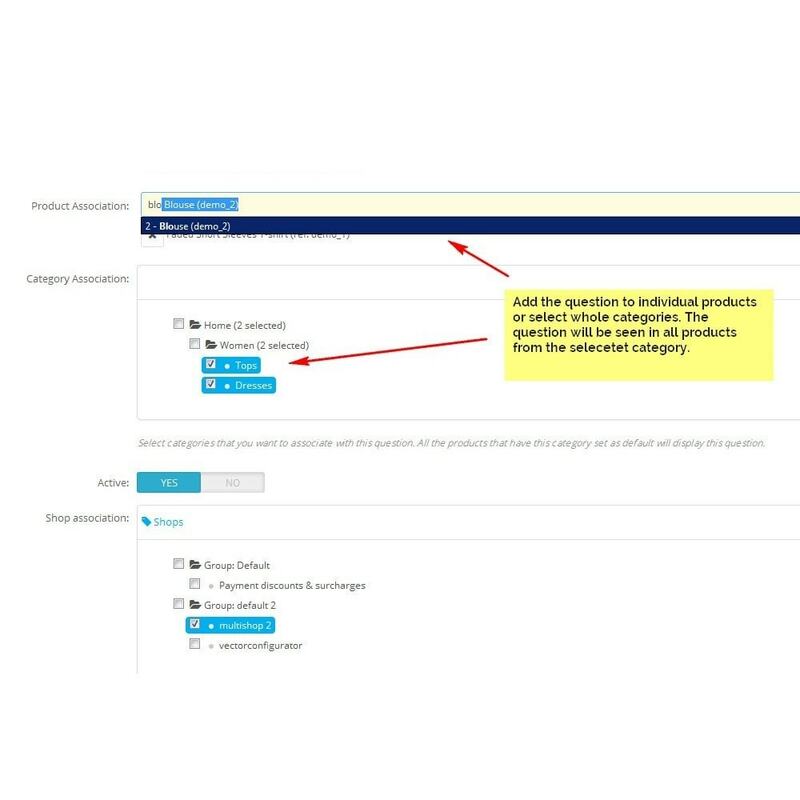 Questions can be assigned to certain categories of either individual products or all products that appear in the product description. Since 2009, we have specialized in the development of modules and templates. Some of our strengths include development for payment, logistics, and merchandise management, development of innovative modules for content management in, as well as development of, administration tools, make managing your shop easier and considerably expand Prestashop’s native functions. 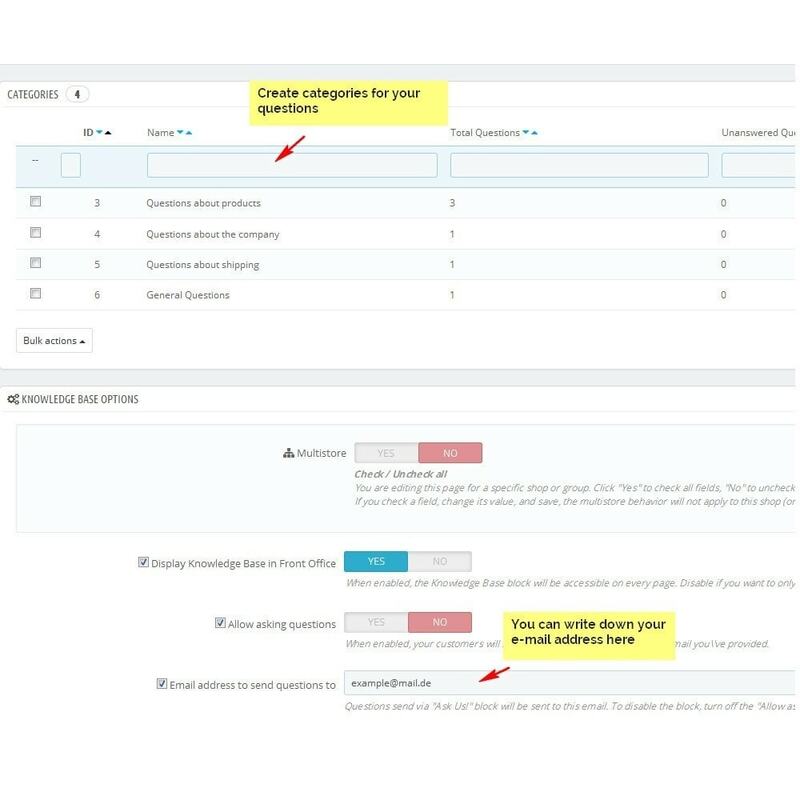 In addition, for our customers we develop customized solutions.